This year is probably the most challenging year for me when it comes to managing schedule. Both my kids are in big school and I am their designated driver. With two different dismissals plus gymnastics training for my daughter, my training, meetings, chores, errands and motherhood, a day really isn’t enough to get things done. Honestly I find it challenging to allot a few minutes to take photos of what I wanna write about or feature on my blog and social media. It’s either I get stuck in traffic shuffling from home to school and vice versa or I’m home finishing work or outside for a meeting. Hahahuhu. But surprisingly, I’m getting good at winging it! This style post is the reality of a working momma. I was in a hurry to make it on time for my meeting in Makati when I snapped these photos shortly after picking up my kids from school. You can see the shininess of my forehead (yup that’s sweat not strobe or highlight effect hahaha) a clear sign that I was rushing. Can you spot the sweat mark? Funny because only the past few months have I noticed I start to sweat more. Usually it would take an hour of workout for me to sweat profusely but since I’ve been more active this year, I guess my body has changed somehow. That face you make thinking about what to eat and a gazillion other things you need to do but you just wanna chill for a few seconds and snap that photo! Heehee. One of the few button down shirts I own which is also one of my favorites. 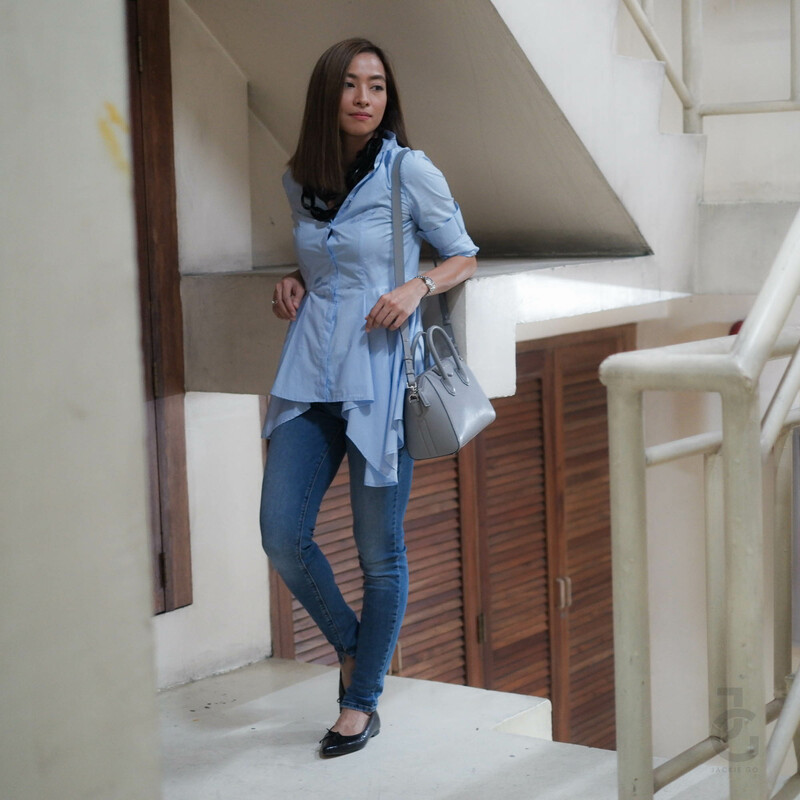 The cascading layer makes it chic enough to pair with denim jeans. This outfit got me through a full day of motherhood and meetings. Not really a jeans kind of woman but lately I find myself wearing it more often. Probably because there’s a dress code for my kids’ schools and jeans is definitely a momma’s safest bet. A pair of black flats is an essential for every woman. 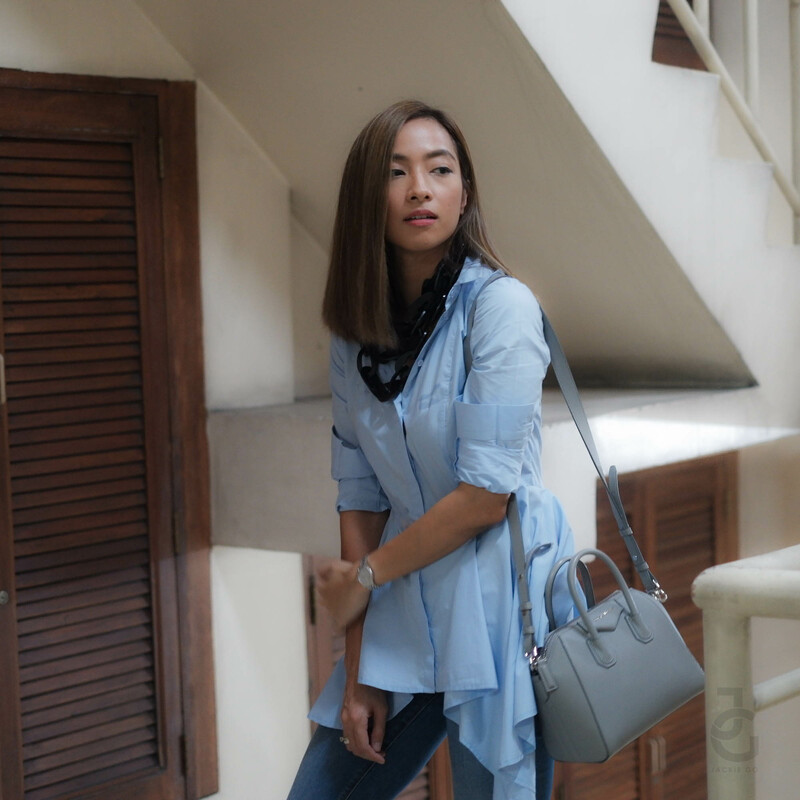 It’s so versatile & can work with almost all basic outfits. This comfy pair got me walking around from one meeting to the other. Shoutout to Design Studio & Chiarra for taking care of my hair. Ever since I had it cut & freshly colored, styling it has been easier. 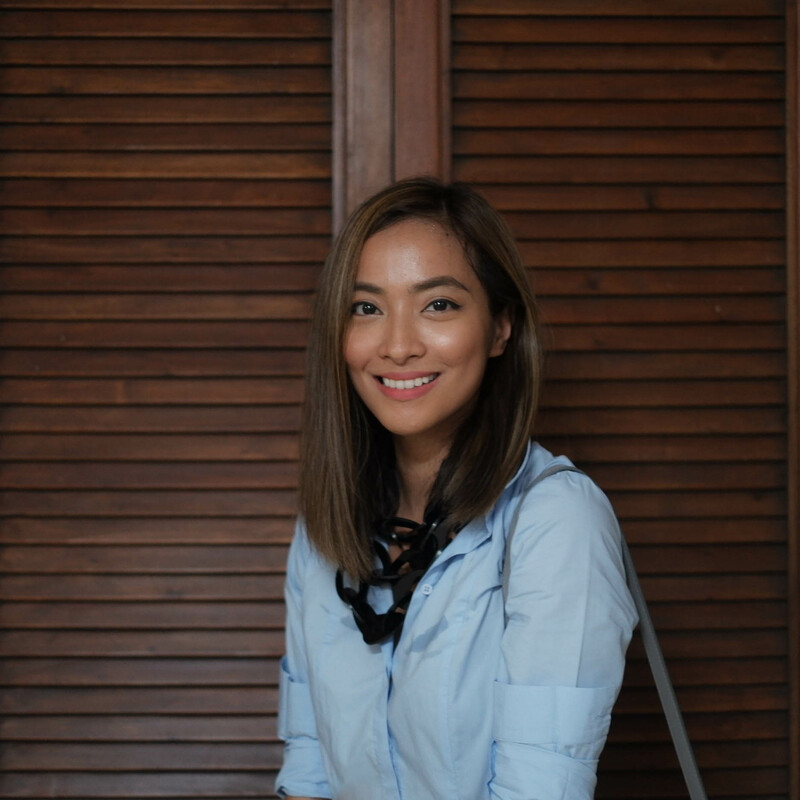 They also treated my hair with Olaplex that keeps it healthy–read about it HERE.